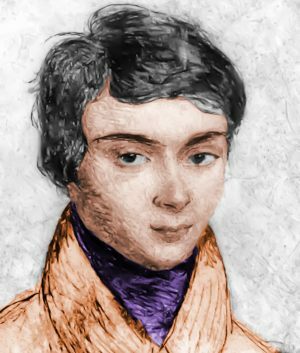 Evariste Galois was a brilliant mathematician. At the age of 20, probably as a result of a romantic affair gone wrong, he fought a duel in Paris. He was shot and he died the following day. In the days before the duel, convinced that he would be killed, he poured out his mathematical thoughts and sent them to his friend, Auguste Chevalier. In doing so, Galois invented an entirely new, immensely important field of mathematics – group theory, and also Galois theory. When World War 1 began in 1914, he enlisted as a volunteer in the British Army. His family pleaded with him to continue his scientific research, but he felt his duty lay in becoming a soldier. Second Lieutenant Henry Moseley was killed in battle at the age of 27, in Gallipoli, Turkey on August 10, 1915. 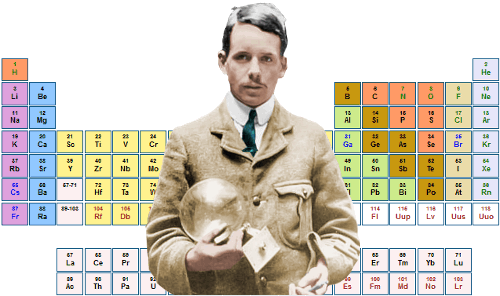 In 1916 no Nobel Prizes were awarded in physics or chemistry. Had he been alive, Moseley would almost certainly have received one of these awards. 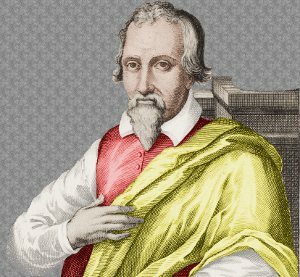 Michael Servetus had wide ranging interests in science, medicine, theology, law, and the humanities. He made important contributions in medicine and anatomy: he was the first European to correctly describe blood circulation between the heart and lungs, independently of Ibn al-Nafis in Egypt. He was pronounced a heretic by Protestant and Catholic Churches, because he denied the Trinity and he objected to the baptism of infants. He was burned at the stake in Geneva, Switzerland. Any books Servetus had authored that could be found by religious authorities were also burned, so the importance of his work was unknown until many years after his death. 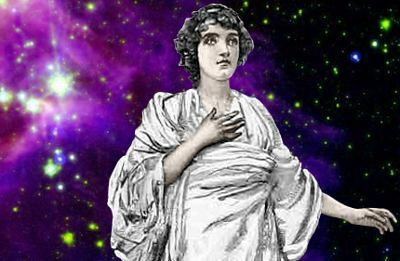 Hypatia of Alexandria, daughter of the philosopher Theon, made such attainments in literature and science as to far surpass all the philosophers of her own time. Having succeeded to the school of Plato and Plotinus, she explained the principles of philosophy to her students, many of whom traveled far to receive her instructions. Hypatia was killed by a Christian mob, driven into a rage by claims that she was interfering in a religious dispute between the Governor and the Bishop of Alexandria. He helped put chemistry on a rigorously scientific footing by emphasizing the importance of accurate measurements. He discovered the law of conservation of mass through his commitment to accurate measurements. Lavoisier also wrote the first list of the chemical elements – a forerunner of the periodic table. 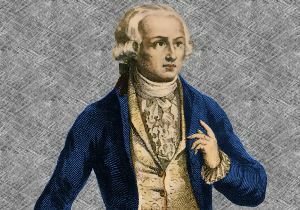 Antoine Lavoisier, who had wealthy background, was guillotined in Paris on May 8, 1794, during the French Revolution’s Reign of Terror. 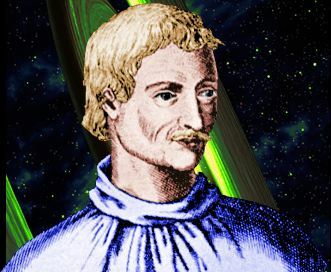 Giordano Bruno supported the Copernican view – the view that the earth orbits the sun, and that the earth is not the center of the universe. More than this, he held the thoroughly modern view that distant stars are orbited by their own, possibly inhabited, planets. He stated that the universe is infinite in size and has no center. He was imprisoned for seven years while his trial took place. Eventually the Pope decided that Bruno was a heretic, with the result that he was burned at the stake in Rome. His beliefs about the earth, sun and universe were part of the reasoning behind his death sentence. He was also declared a heretic for his religious views about, for example, the Catholic Mass and the Trinity. 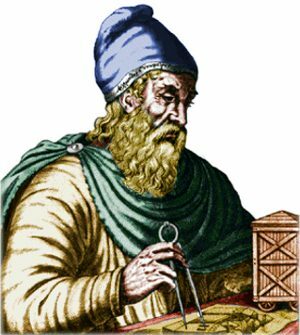 Archimedes is perhaps the world’s greatest ever scientist; he was certainly the greatest scientist of the classical age. He was a mathematician, physicist, astronomer, engineer, inventor, and weapons-designer. He lived most of his life in the Greek city of Syracuse; his defensive weapons enabled the city to withstand a prolonged siege by Rome’s legions and navy. The Roman army was eventually allowed into Syracuse by a traitor. Archimedes died during the conquest of Syracuse. He was killed, against the orders of the Roman commander, by a Roman soldier. Servertus and Bruno were executed for teaching heresy, not for their science. We’re 100 years on from Moseley’s death at Gallipoli in WW1. A war that people said could never happen because Europe’s countries had grown too civilized to ever war with one another again!!!! I wish all of humanity could learn to be civilized and stop thinking its okay to kill people because they think differently. “Flashman” is a fictional story / event. Usually in real duels the “2nd” (2 men, 1 chosen by each of duelers – usually his best friend to help with the duel) loads the gun chosen by that dueler. So it is most improvable (and dishonorable) that any gun would ever have a “blank” – My favorite duel is with Abraham Lincoln 1842. Lincoln was challenged by a politician he had insulted… so Lincoln got to choose weapons, Lincoln took the Broad Sword with a 6 foot board between them (You must stand at the end of this board). Broad swords are heavy, and Lincoln had a reach that could not be matched… As the two men faced each other, with a plank between them that neither was allowed to cross, Lincoln swung his sword high above Shields to cut through a nearby tree branch. This act demonstrated the immensity of Lincoln’s reach and strength and was enough to show Shields that he was at a fatal disadvantage. With the encouragement of bystanders, the two men called a truce. I think the burnings are the worst to think about. Imagine being burnt because you didn’t believe in God or had scientific proof that the church was wrong. They were killed for having an opinion and discovering their own truths in this world. Many Christians were also burned at the stake and murdered for entertainment for having opinions and discovering their own truth. It seems no group of people has a corner on unjust treatments, even including death, of those with whom they disagree. These deaths were pretty horrible, but the scariest one I think is Antoine Lavoisier because he got guillotined. I’m studying Archimedes, and I learned a lot about the screw and how he measured the volume of this gold crown by dropping it in water, but when I saw the word guillotined… whoa. In other words, Antoine got his head chopped off during the scary, turbulent times in France. When I look at recent pictures and postcards of France, I can never picture that place full of beheaded people and war and terror reigning the place. I mean, what the hell? I am learning about famous scientists when I stumbled upon interesting deaths. Now I, a sixth grader, realize that i have it good. it’s actually one of the least painful ways to die and revisionist works can be really persuasive about the “reign” of terror. the monarchy era was more terror filled than the “terror” itself, there were more executions and they were cold blooded. poor people had no freedom and no food, they died on the streets while nobles didn’t even work. the revolution and the revolutionaries (actually only some of them) are known and demonized when what really happened was that a few people corrupted it and executed to get power (like billaud and herbois). and, well, can you imagine being slowly burned alive? i don’t know, that’s just my opinion. also sorry for the bad english, it’s not my native language.